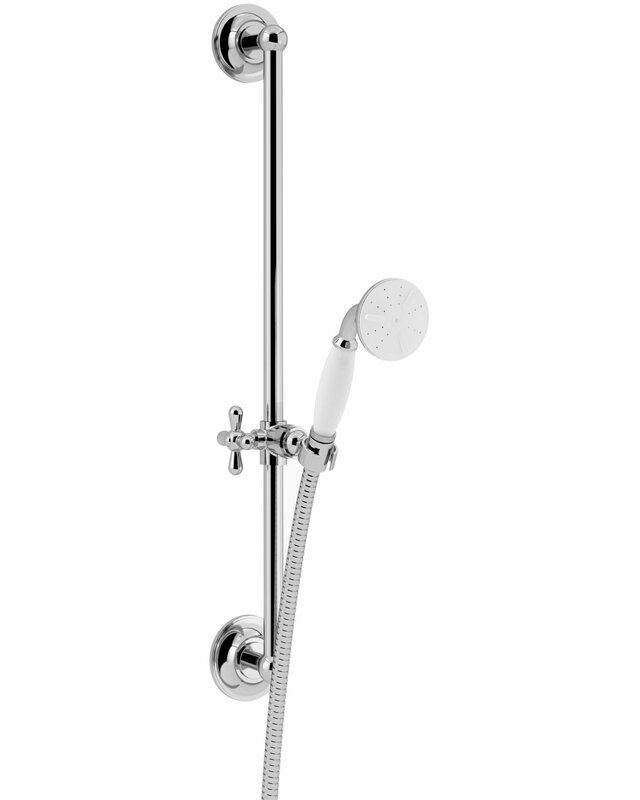 The Heritage Premium Shower Slide Rail Kit features all the details and styling associated with the classic fixtures and plumbing of the early twentieth century. 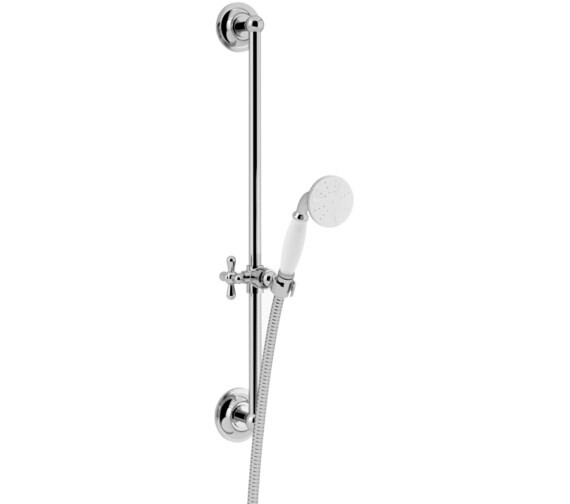 Its sleek lines and soft curves make this an elegant ensemble bound to make a great addition to any bathroom. 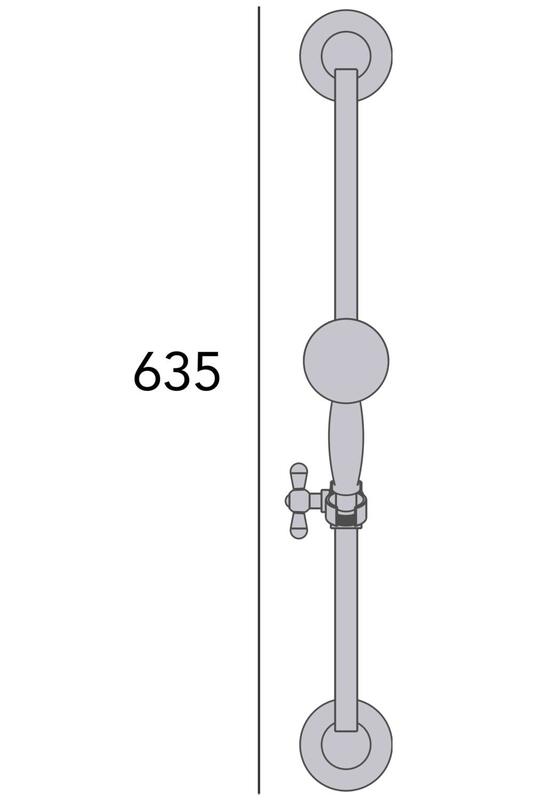 It offers the user added flexibility to locate the handset according to the height and preference of the user. The brilliant Chrome or Vintage Gold finish lends it a degree of class and sophistication. It is suitable for use with an exposed valve designed with a bottom outlet. Fully adjustable to the required height, the set includes a handset with white detailing and a flexible hose which targets difficult to reach body parts.